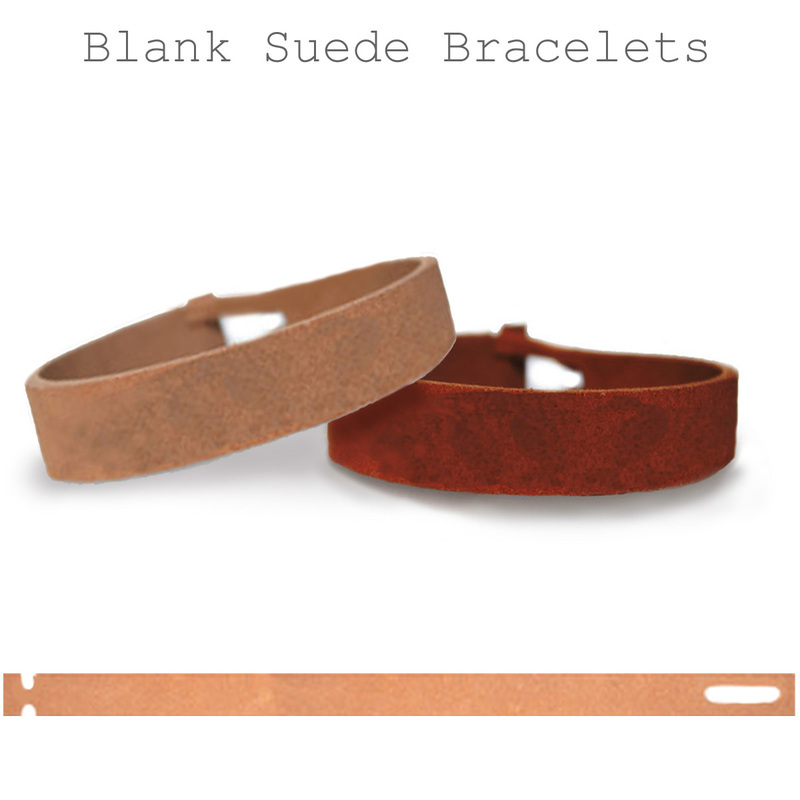 Paint your own leather bracelet as easily as painting & drawing on a canvas! 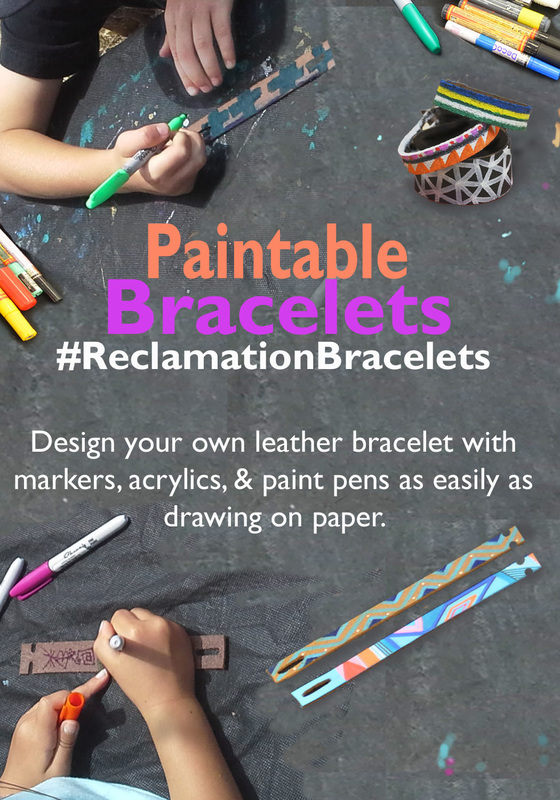 These hand-made, ecologically sourced bracelets are perfect for water-proof markers, ink, acrylic paints, & paint pens. 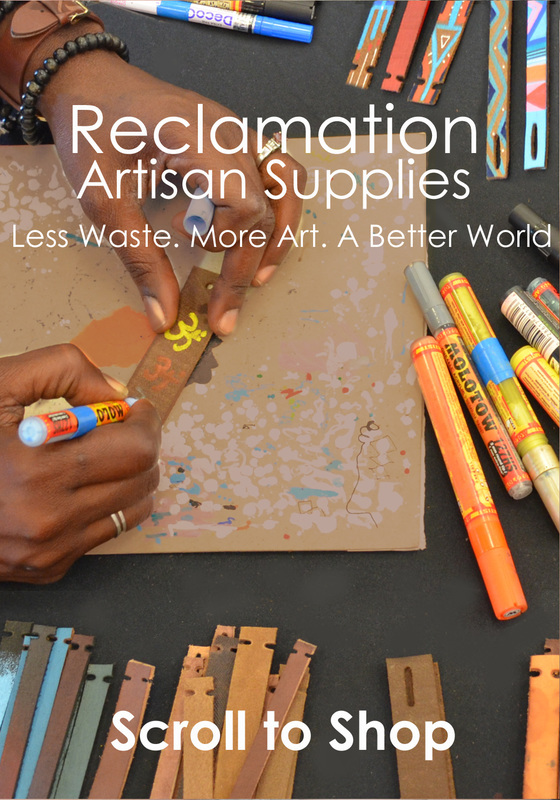 Slight variations in color & thickness occur due to the nature of upcycling. An eco-friendly & stronger alternative to paper mache! Build sculptural & functional forms using leather mache that has been ecologically sourced from discarded factory leather. 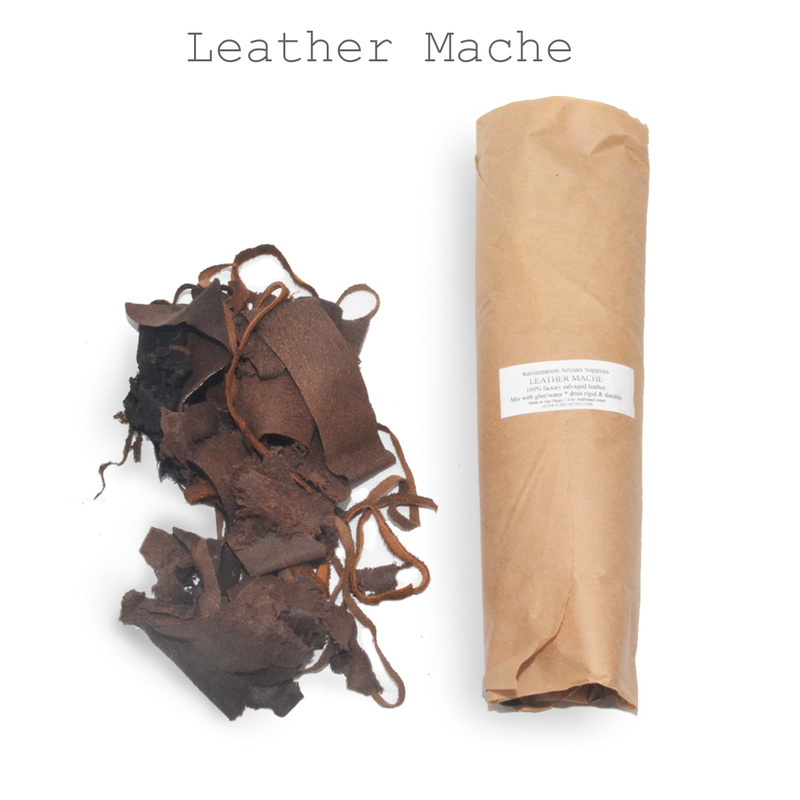 Soak strips of leather in a solution of water mixed with glue (50/50mix) and then lay the soaked leather over different forms and let it remain until it hardens. (Typically within hours, depending on humidity). Decorate your finished form with acrylic, oil, or water based paints & paint-pens for endless possibilities! 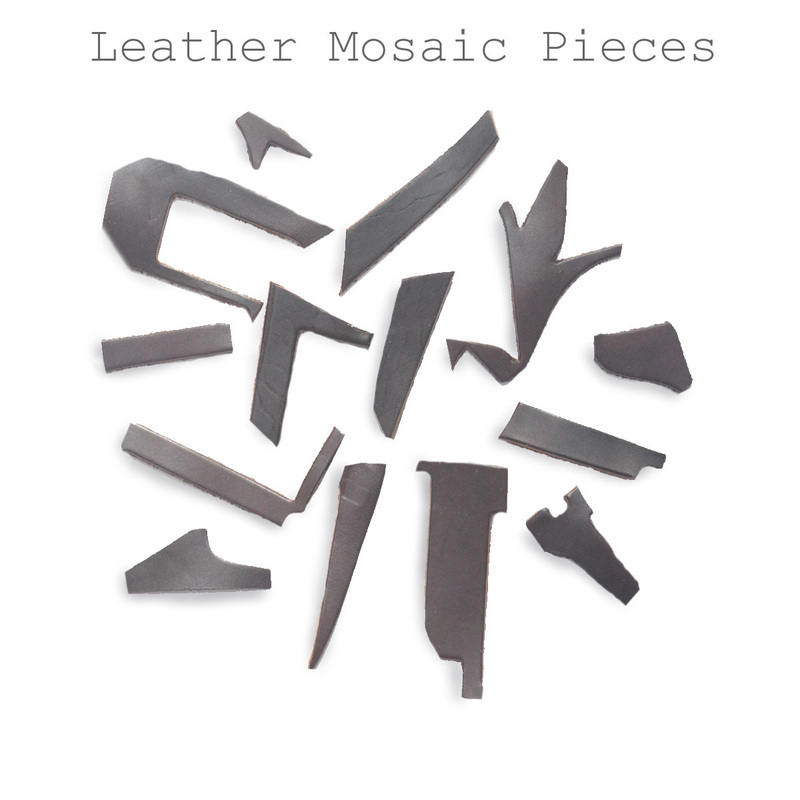 Let your imagination loose & make endless creations using leather mosaic pieces that are ecologically salvaged from factories. Paint & arrange unique shapes together like a free-form puzzle for a fun, creative activity you can enjoy again & again. When you're ready to preserve what you've made, you can glue it to a canvas or board, or you can glue the pieces to one another to make a sculpture! Comes in various shapes with slight differences in thickness due to the nature of upcycling. Call the studio to get discounted pricing on bulk orders & mixed-product orders.